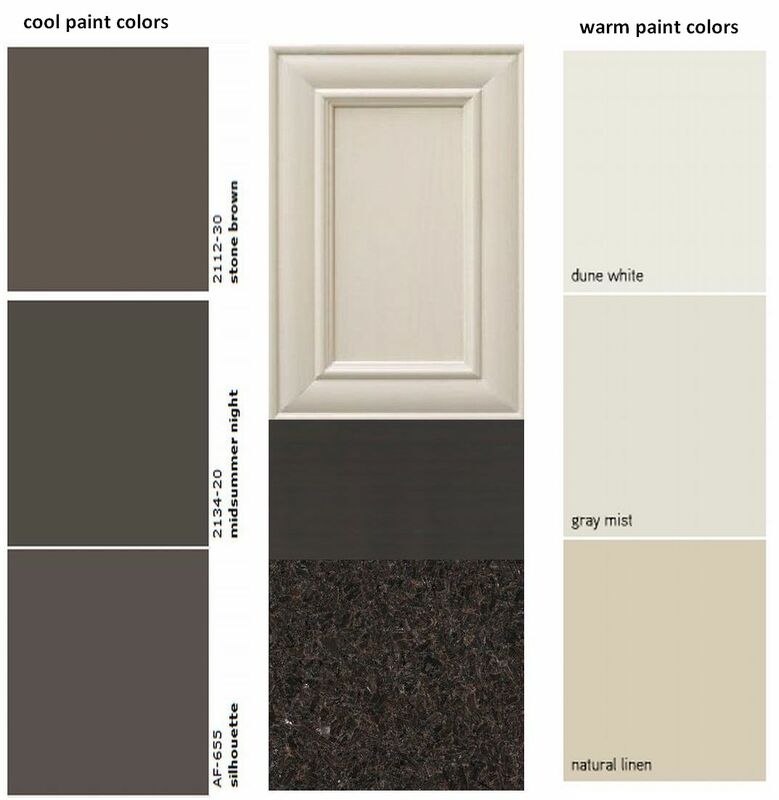 WARM OR COOL PAINT COLORS? This is one of the questions I get all the time. 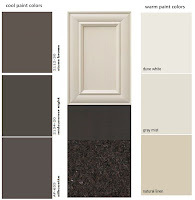 How do I choose warm paint colors if my kitchen finishes are cool? Or vice versa. 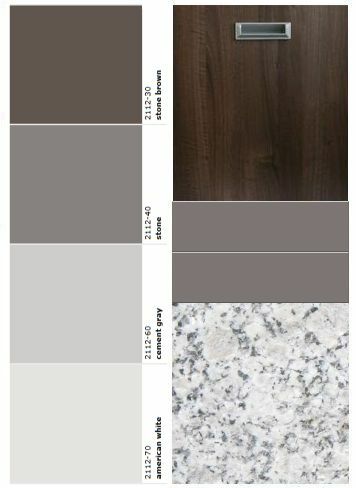 There is this idea that once you have selected your kitchen cabinets, countertop and backsplash in cool tones you are stuck with the cool paint colors throughout. 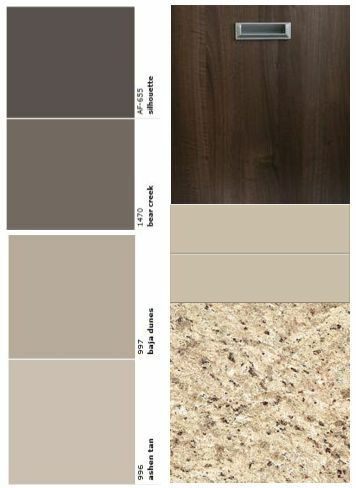 This is also very important for real estate agents when they show a condo unit that is all ‘cool’ and potential buyers seem to be against cool color tones. Well, there is always a solution :) or almost always. While certain finishes combos allow for a mix & match of cool and warm tones, others seem to just simply work better if you stay in one range. 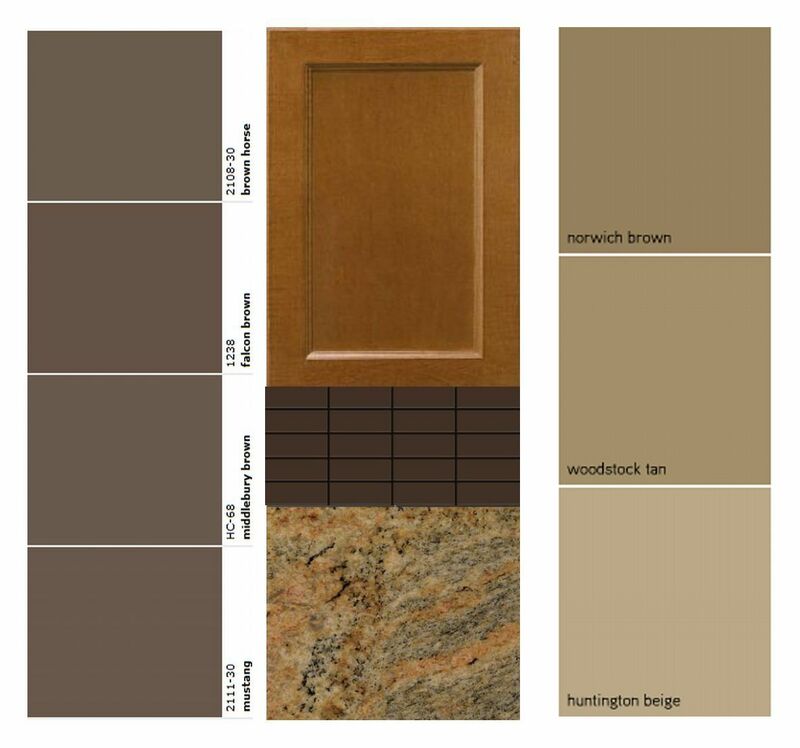 You see the ‘scotch maple’ kitchen cabinets, with kashmir gold granite countertop? 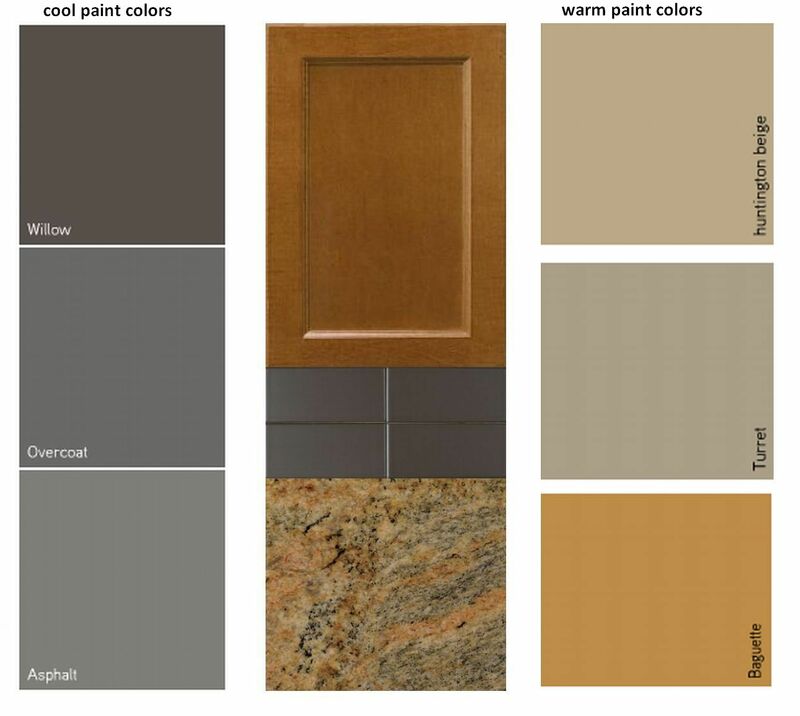 Many of you may be tempted to go with warm orange-sandy colors throughout. 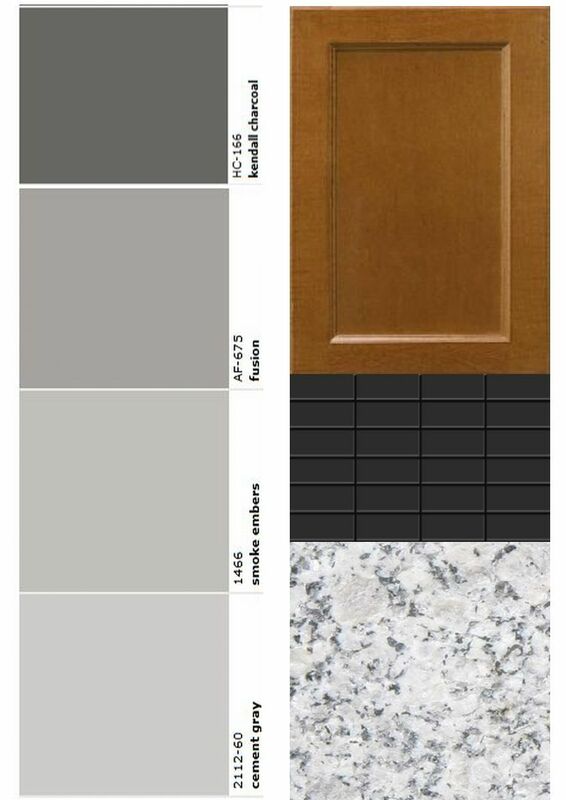 In fact, just by incorporating a cool tone backsplash (like the dark charcoal one shown- which is one of the color tones you actually find in the granite) you can play with a wide range of cool paint colors that will only make your cabinets and countertop pop and stand out as a vibrant accent in your kitchen area. 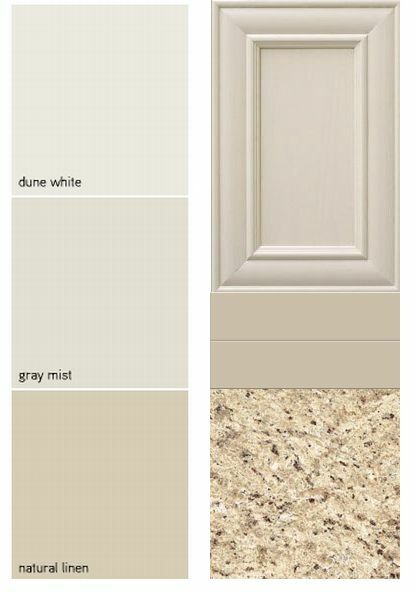 Another example is the off white kitchen cabinet doors. Off white is usually preferred (vs pure white) by people who prefer warm colors. 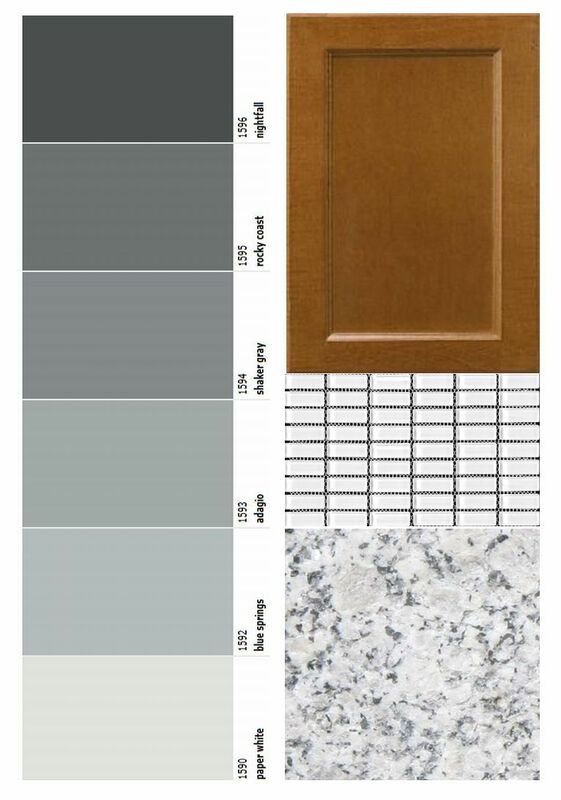 When you pair off white kitchen cabinets with dark brown granite countertop and matching backsplash, you have both options on hand- to use off white paint colors and make the kitchen cabinets blend while the countertop & backsplash will stand out OR you can go the opposite direction, use cooler darker paint colors close to the backsplash and make the cabinets stand out. 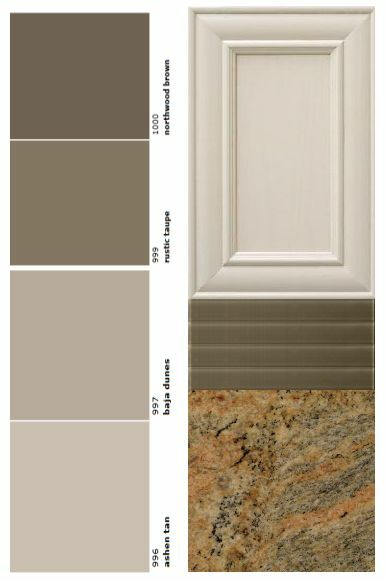 The advantage of using granite countertops is that they almost all have a wide range of color hues which allow you to play with the paint colors and go from cool to warm in an instant! 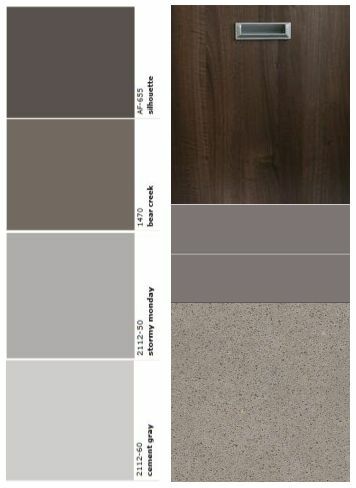 One of the 'preferred choices' in selecting your upgrades is to use the same countertop finish for the basksplash. Whether it is slab (best option if possible) or tiles of the exact same type of granite, it will allow you to create a kitchen with a very ‘clean’ look. 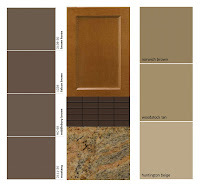 - Do you want the kitchen cabinets, countertop and backsplash to be tone on tone and paint colors much darker or lighter? 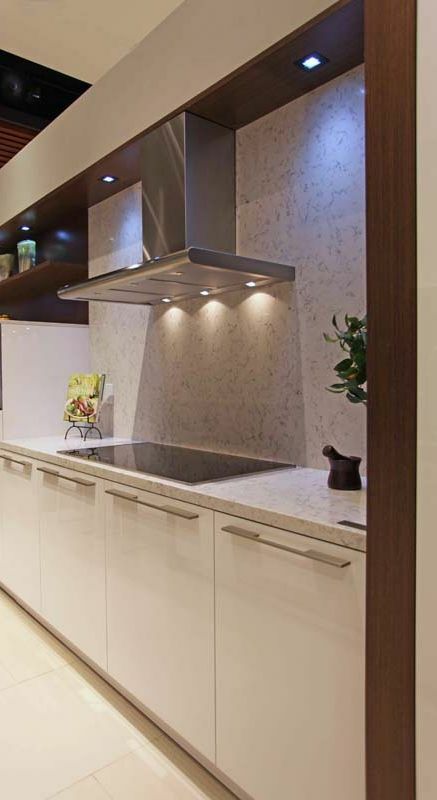 With this option your entire kitchen will stand out and could create quite a statement! This option is great for “U” and “L” shape kitchens. 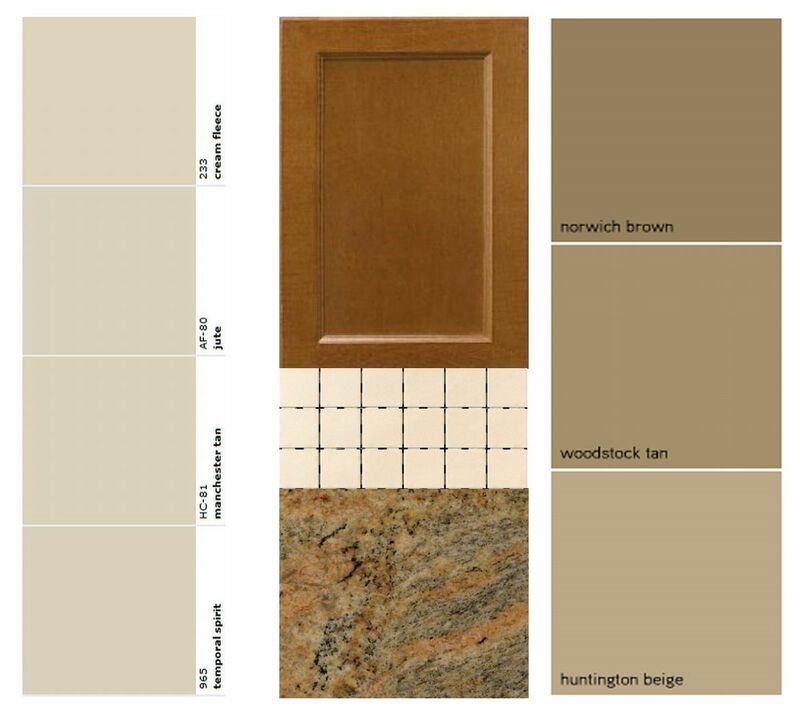 - Do you want the kitchen cabinets and countertop to stand out and backsplash to match (or go with) the paint colors? This option is great for linear kitchens. 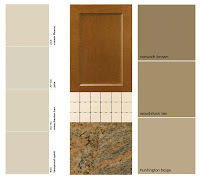 - Do you want the countertop and backsplash to be close in color and the kitchen cabinets to be much lighter or darker? 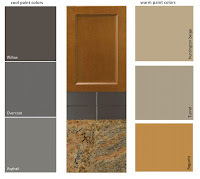 Then you have the option to either visually connect your paint colors with the countertop & backsplash OR with the cabinets. 2 different options, 2 different looks! This option is also great for linear kitchens, however it works well with all other kitchen layouts especially when you have a reasonable amount of closed doors cabinets. 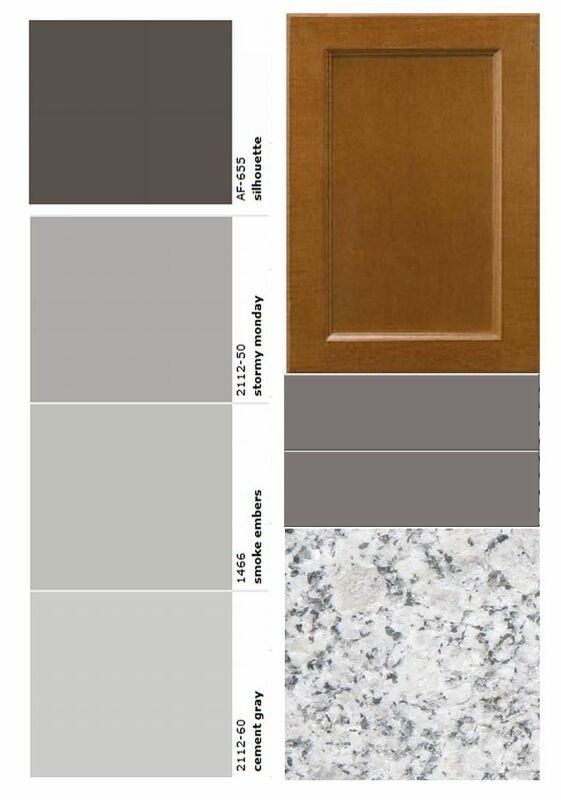 One more tip- the smaller your kitchen is, I recommend less changes in finishes and colors in the kitchen space. If you think about it, appliances take quite a bit of space and break down the overall look (that if you don’t have panel ready appliances) and the intent is to keep the overall look of your kitchen quite simple and not overdone so there is more visual space for your small appliances, accessories etc.